2007 > Eason's Book Signing. . HD Wallpaper and background images in the Evanna Lynch club tagged: evanna lynch order of the phoenix luna lovegood. 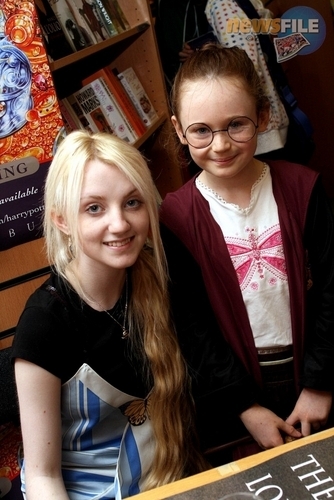 This Evanna Lynch photo might contain 기호, 포스터, 텍스트, 칠판, 사인, 서명, 신문 판매대, 신문 가판대, 신문 용지, 잡지, 타블로이드, 걸레, 신문, 종이, 타블로 이드, and 걸 레.